Water purification stations shut down to prevent polluted water from entering filters. A docked barge in southern Egypt leaked almost 100 tons of gasoline into the Nile River on Saturday when a drop in water levels caused it to tilt and partially submerge, allowing the fuel to leak out. 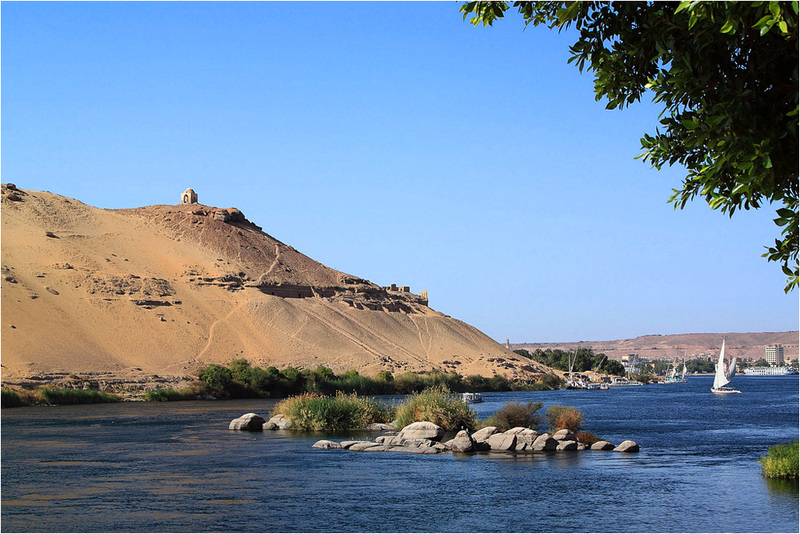 The Nile River in Aswan. The vessel was docking in Aswan, a city about 700 miles south of Cairo, when part of it sank beneath the surface and began to spew gasoline into the river. An official who spoke on the condition of anonymity told the Associated Press that the barge was unloaded in order to re-float it. Officials in Luxor and Qena, both downriver from Aswan, announced states of emergency after the spill reached the former Sunday evening. In addition, four water purification stations along the Nile were shut down to prevent contamination. The Nile serves as Egypt’s main source of drinking and fresh water. “Sites along the Nile that feed river water to purification stations have been blocked off as a precautionary measure to prevent polluted water from entering filters,” Mustafa al-Sayed, Aswan’s Governor, told the Egyptian news agency MENA. Officials insisted that the 70-yard-wide and 1.2-mile-long slick became fragmented as it passed through an area of dense grass and coral and that it was unlikely that it would affect water supply stations. Provincial official Mohamed Mustafa assured that tests conducted after the water was cut off, show that water in the Aswan region was not contaminated. “It is not a big spill. There are small spots of oil and considering the size of the Nile, it will not affect the river environment,” Mustafa told MENA. An investigative committee has been formed by Egyptian prosecutors, with the participation of the Ministry of Health and the Ministry of Environment, to find the reasons behind the leak.